Although this flower mural was painted in Binbrook, Ontario, I also sell pretty flower themed wallpaper murals that ship for FREE all over Canada and the USA. They are super easy to hang and totally removable when you’re ready to redecorate! 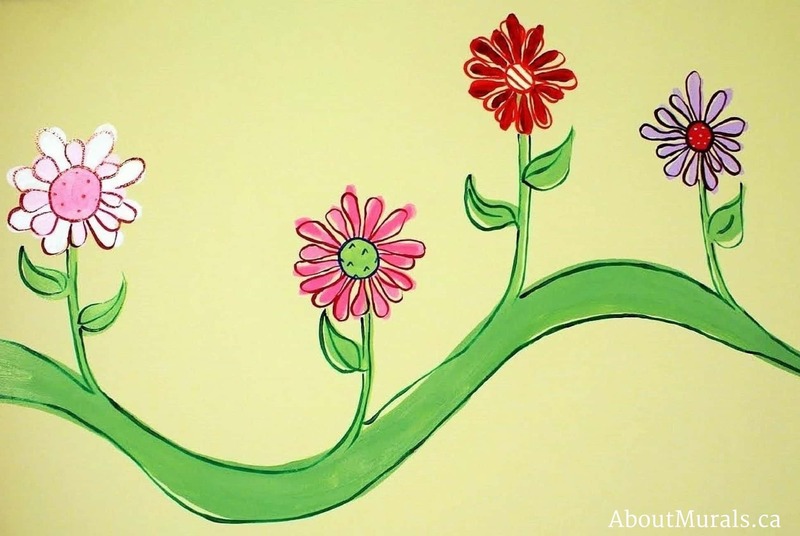 Thinking of a flower mural for your kids room? Here are some photos of a mural I painted to give you some ideas for your own home. Mama, Jolanna, wanted to brighten up her baby girl’s nursery. We used the flowery drapes as inspiration for the flowers I painted on the walls. I only use non-toxic acrylic paint and no-VOC latex paint when painting my murals. So it’s safe for your kids to play and sleep in their rooms – even on the night I’m finished. All of my wallpaper murals are eco-friendly too. 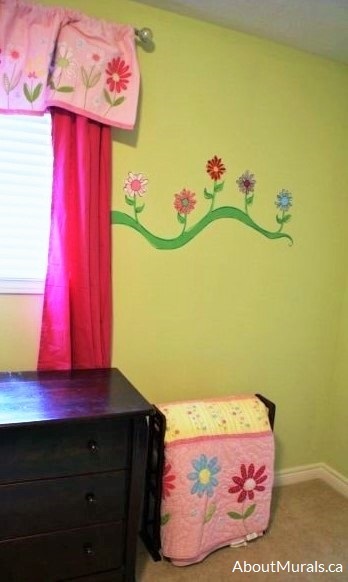 Jolanna loved the curtains and bedding for her baby, but she wanted the mural to be “not so perfect.” So I painted the flower petals outside the lines. When we work together, you can personalize your mural anyway you like – add your baby’s name, a favourite quote or just customize the colours. 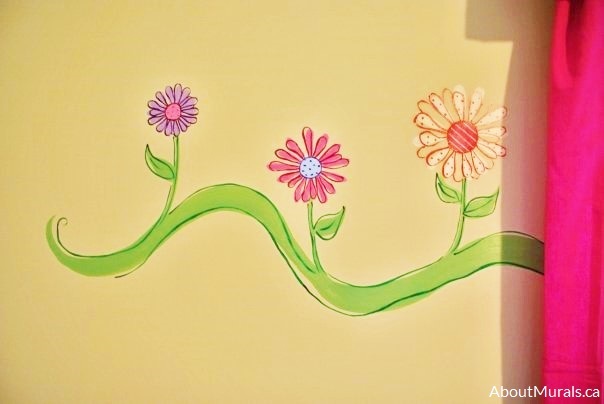 Still thinking of a flower mural and like my style? Let’s work together!